The spurt in staff strength in the CBI’s Kolkata office indicates that the agency is inching closer to establishing Mamata’s involvement in the Saradha and Rose Valley cases. As CBI special director, Rakesh Asthana played a crucial role in Pankaj Srivastava’s appointment as the agency’s joint director (east). Zubin was one of the crores of people who voted Mamata Banerjee and her Trinamool Congress to power, ending more than three decades of left rule in the state. He remained a staunch supporter even as Mamata slowly transformed herself from being simple to being expensively simple. She now wears branded saris that look ordinary, carries an iPhone, prefers to stay in five-star hotels and is at ease in the company of tycoons. But it was not Mamata’s makeover that disillusioned Zubin. It was the sight of paramilitary forces being deployed to protect Central government offices in Kolkata and elsewhere, as Trinamool workers hit the street in protest. Roads were blocked, public transport went haywire, and the police struggled to maintain law and order. 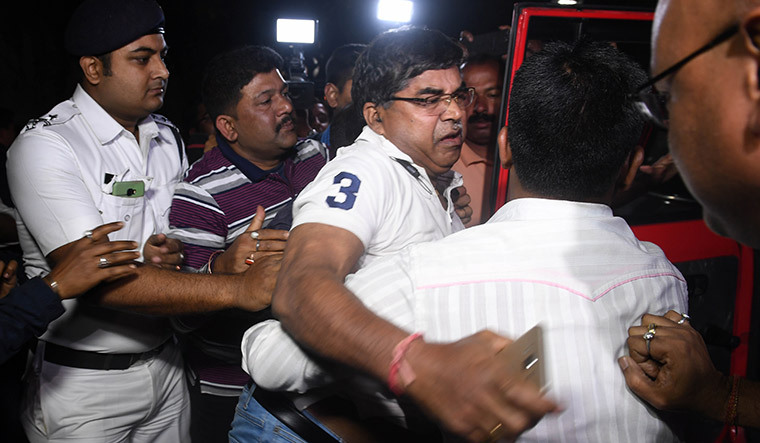 All this mayhem, Zubin said, to shield a powerful police officer who was accused of tampering with evidence related to the Saradha case. 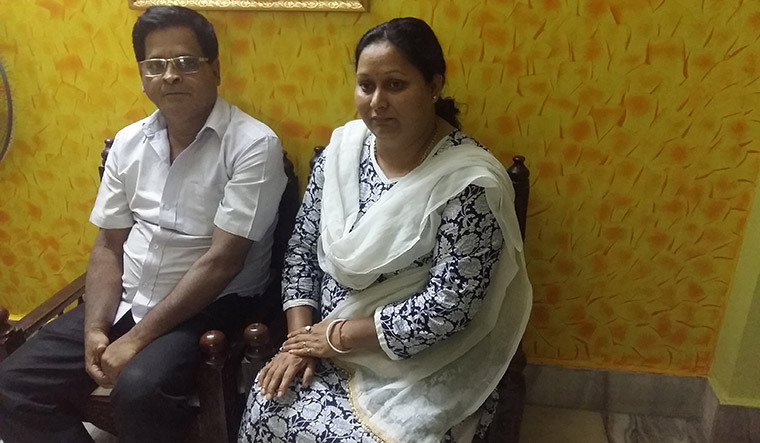 A few kilometres from Zubin’s shop, in the eastern part of the city, lives a former police officer who says he paid dearly for refusing to do the commissioner’s bidding—which was to unlawfully obtain files related to the Saradha case. Anjan Chakraborty, 67, a Meghalaya Police officer who was on deputation to the CBI in Kolkata from 2001 to 2008, says Rajeev Kumar asked him to help the police trap CBI officers who were investigating the case. Chakraborty, at that time, had voluntarily retired from the CBI and was a contract employee at the cyber cell in the Kolkata Police headquarters at Lalbazar. The Kolkata Police arrested Chakraborty from Shillong on August 4, 2017, on charges of having swindled Rs2.5 lakh from a businessman. The complaint against him was registered five days after he reportedly refused to trap the CBI officer. According to the first information report, the businessman whom Chakraborty cheated is Abdul Munaf from Ekbalpore. His whereabouts, however, are not known now. Chakraborty said the police prepared a false seizure report after he was arrested, and paraded him before the media in Shillong. Back in Kolkata, he spent around 40 days in police custody, before the court released him on October 17 citing absence of evidence. Chakraborty had led several successful operations against militants in Meghalaya before he was sent on deputation to the CBI in 2001. A major factor behind his deputation was the grave security threat against him. On August 17, 2006, Meghalaya director-general of police W.R. Marbaniang wrote to CBI director Vijay Shankar that “there was no objection to [Chakraborty’s] absorption to the CBI”. Marbaniang said the security threat against Chakraborty persisted “because of his outstanding performance against the militants in Meghalaya”. A man of action, Chakraborty did not find his brief at CBI to be appealing. He returned to Meghalaya as deputy superintendent of police in 2008, and retired voluntarily six years later. In 2015, he started working with Dilip Ghosh, who was appointed president of the BJP’s West Bengal unit that year. Chakraborty said he helped Ghosh deal with matters related to law. In March 2017, he said he met Rajeev Kumar, who had been appointed Kolkata Police commissioner the previous year. Kumar was head of the special investigation team that probed the cases related to Saradha and Rose Valley chit fund scams (see graphics on page 37). Apparently impressed by Chakraborty’s credentials, Kumar asked him to work on contract at the cyber cell. Chakraborty said he was not given any responsibilities, and that he was paid Rs8,000 after the first month. The department later said they could not pay him, saying the government had not sanctioned the money. On October 22, 2017, barely a week after the court released Chakraborty from police custody, Rakesh Asthana was appointed CBI special director. 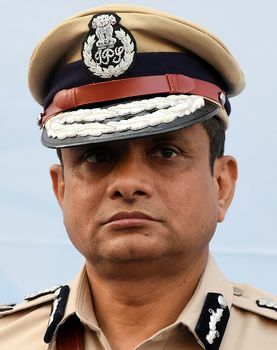 Early last year, Asthana visited the CBI zonal office in Kolkata and reportedly inquired about the alleged efforts of the Kolkata Police commissioner to scuttle the investigation into the scam. Former Trinamool MP Kunal Ghosh had told the CBI in 2015 that all evidence in the Saradha case was destroyed by Kumar, who was then Salt Lake commissioner. According to Ghosh, the evidence included details of conversations between Mamata and Sudipta Sen, Saradha chairman and managing director. Interestingly, it was after the scam surfaced that Kumar became Mamata’s trusted lieutenant. 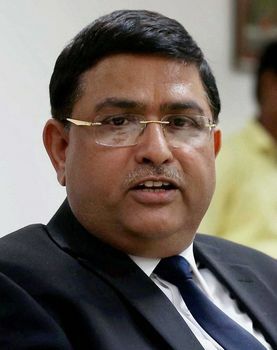 During his visit to Kolkata, Asthana reprimanded the investigators for having gone slow on the Saradha case. In March last year, he played a crucial role in Pankaj Srivastava’s appointment as the CBI’s joint director (east). Srivastava reportedly told CBI director Alok Verma about the involvement of top police officers and politicians in the scam. The same month, Chakraborty wrote to Asthana about the Kolkata Police’s alleged efforts to trap the investigators. He also wrote to Dipak Mishra, chief justice of India, and his puisne judges, including present CJI Ranjan Gogoi. On March 26, 2018, Srivastava’s office asked Chakraborty to give details about the “complaint lodged by him”. On January 17, 2018, the CBI hurriedly filled up vacancies in the Kolkata zonal office, with sleuths from Delhi. Apparently, the spurt in staff strength indicates that the agency is inching closer to establishing Mamata’s involvement in the Saradha and Rose Valley cases. A crucial link is said to be the way Mamata’s paintings were bought by Saradha, Rose Valley and other chit fund firms. The CBI has seized the paintings from the chit fund owners, and has assessed their value with the help of agencies abroad. It has also served notices to Rajya Sabha member Derek O’Brien and Mamata’s close aide Manik Majumdar. While the state government vigorously shielded Kumar, Chakraborty has been left to fend for himself. Chakraborty says he and his family were so shaken that they took months to recover. On March 14 last year, he lodged a complaint with the National Human Rights Commission, which directed the state unit to look into the matter urgently. 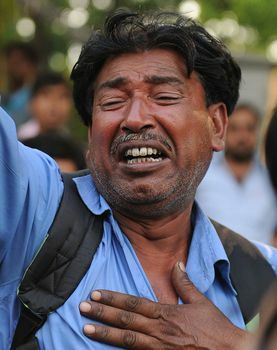 On April 9, the West Bengal Human Rights Commission sent a notice to Kumar, asking him to submit a response in four weeks. 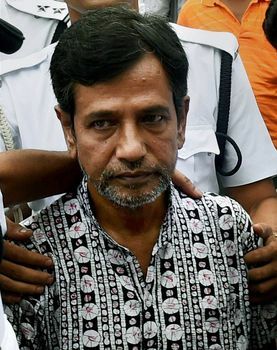 Kumar is yet to respond; the police case against Chakraborty remains in limbo. THE WEEK tried to contact both Kumar and Pravin Tripathy, joint commissioner of the special task force, which had arrested Chakraborty in August 2017. They did not respond. Interestingly, the additional director-general of the Armed Police Headquarters in West Bengal recently sent a memo to Chakraborty. The memo, dated January 19, asked Chakraborty to appear for an interview for recruiting instructors to the CIAT (Counter-Insurgency and Anti-Terrorist) School at Salua.